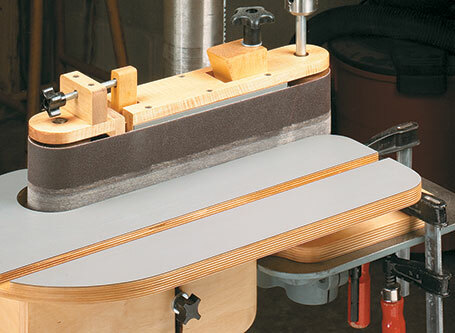 Sometimes sanding strips are the easiest way to smooth out curved surfaces. But, sanding strips cut from standard sandpaper can easily break. Phil shares a readers tip to get extra mileage out of them! I use a lot of thin stock in my projects. But it can be difficult to rip thin stock to a consistent thickness. That’s why I came up with the roller guide you see here. 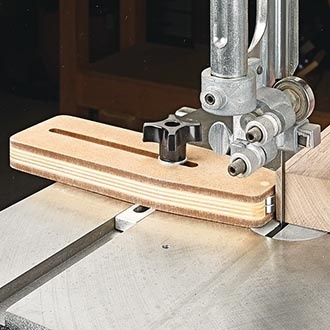 It’s designed to work at the band saw or any other tool with a miter slot, like a table saw or router table.